Well, as UKIP surge in the opinion polls and the Tory party goes into one of its perennial spasms about the European Union, and gay marriage and the fact that we don’t live in the 1950’s anymore, foreign observers must think that the British have gone completely mad. And to an extent I’d be inclined to agree with them, because there is crazy feeling about our politics at moment, but it is largely limited to only a section of the people, whilst more are worried about their economic security and many other issues before the European Union. One of the paradoxes of the rise in support for UKIP at the expense of all of the main parties (though particularly the Tories), is that opinion polls show increasing support for staying in the EU, though all the polls do have majorities in favour of having a referendum on the issue. UKIP are the voting receptacle of protest votes in by-elections and local elections, for all sorts of reasons as written about previously. This is not a deep insight, and surely must be obvious to all involved in politics, but a section of the Tory party have decided that this is the best chance they will get to quit the EU, and they are certainly not going to waste it. 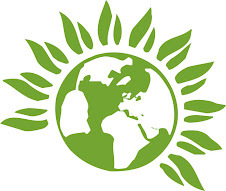 For the record you can read the Green party’s policies on the European Union here and you will note that we have a vision of a very different Europe, one which prioritises the interests of the people of Europe, over that of multi-national corporations, which is how things stand at present. That sort of change would need referendums in all nations of the EU, but that kind of choice is definitely not what we in the UK or elsewhere will be getting. Let’s take the Prime Minister’s plan for a referendum, ‘in or out’ in 2017, after he (if he’s still Prime Minister, which looks doubtful) has renegotiated our terms of membership of the EU as our starting point. On the face of it, this looks to be a reasonable position. It is likely that there will be changes in the EU, given the problems with the Euro. And there are problems a plenty with the how the EU works. The Common Agricultural Policy is one obvious example, and unfair tariff and trading rules with developing countries, is another. But these things are not what David Cameron wants to renegotiate. He will try and get some deal on limiting immigration from eastern Europe, though I don’t think he will be very successful. He also wants to protect the City of London financial services industry from possible EU regulation, which he might get some concessions on. Where he probably will get somewhere, is over employment regulations, like the working time directive and agency workers regulations. So, less control over the industry that precipitated our current economic crisis and fewer rights at work, as the new settlement. That will be the choice, ‘in’ the newly the negotiated EU without the same worker protection as the rest and a free-wheeling finance sector, or ‘out’. We probably won’t even get the option of staying in on our current terms, let alone anything better, if the Tories get away with it. Luckily, enough Tory MP’s seem hell bent on pursuing this issue until they get their referendum, splitting the Conservative party and the Coalition with the Lib Dems in the process, which makes it much more likely that they will not get the opportunity to determine the terms of any referendum on the UK’s membership of the EU, any time soon. Britain has been in the EU since 1973 and should remain. It is better for unity in Europe. People shouldn't be against unity but if they are it's a form of racism.